Sports-enthusiast and avid historian, Max Flammer is a junior at Seabury Hall. He has attended the school since 6th grade. He was born on Maui; however, he moved to Florida for a few years before returning to the island. From a young age, Max has had a passion for sports, especially football, which seems to coincide with the fact that he was born during the Monday Night Football time slot. 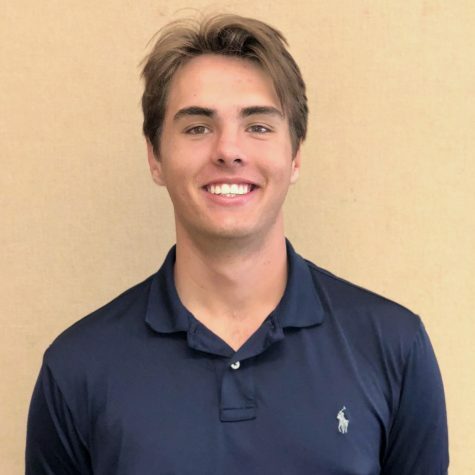 He has spent countless hours watching sports, rooting for his Philadelphia Eagles, but his passion for golf would lead to his interest in writing sports news for the Seabury Tides. Despite his interest in sports reporting and writing, his focuses has recently shifted toward sports management and the business side of sports. Max tries his best to live a relaxed life, which credits his Swedish heritage, and some of his favorite things in life include his dog, Buddy, traveling the world, and being secret hopeless romantic, watching his favorite tv shows which are all variations of the Bachelor, including the Bachelorette and Bachelor in Paradise. Max’s favorite quote to live by in life is, “Trust the Process.” He considers himself a reasonably tall person.